Cold, hardly any coffee, all fillers like sugar and chemicals. Typical tesco non deal... When they sell stuff at full price they must be knocking on for double home bargains , B&amp;M prices . Apart from living close to a tesco there is little reason to shop in one. You asked "about", do you mean flavour, flavour, sell point, marketing spiel, or the number 37? Never understood what Blend 37 is all about. 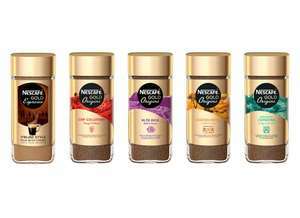 Never miss a 'Nescafé' deal again! At £3.50 for 200g it seems to be the cheapest price at the moment. 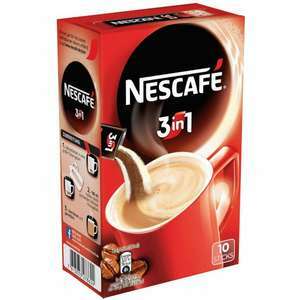 Nescafé original instant coffee 300G was £7.49 now £4.50 @ Tesco. 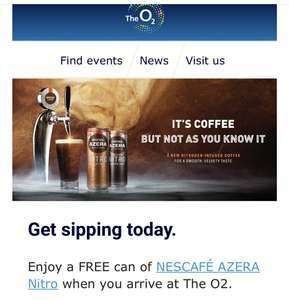 Decent price for a decent coffee. Standard price it would appear. In Poundstretcher £2.79 for 200g so proportionately cheaper than Tesco but more expensive than Lidl at £3.99 for 300g. Depends on which stores are near(est) you. These were £2.69 for 200g in Savers, I bought one they have some foreign writing on them. I bought 2 in Morrisons, £4 is the cheapest I have ever seen it in a supermarket. The previously cheapest was £4.50 but it is usually £5 when on a deal. That is the cheapest. Good spot. Is it just me but has anyone else gone off of this since the recipe change, 18 months or so ago? 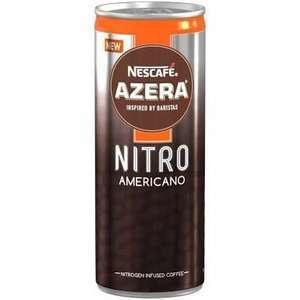 Leaves a sort of 'barista' style grit in the bottom of the cup now (annoyed) Have some heat OP, this is a good price! Usual price £7.49 really ? . must try the cool mint mocha!!! They were, but have now gone up up £2.25.